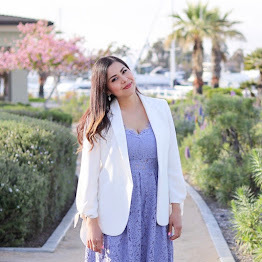 Now that the weather in San Diego has committed to Fall, I can talk freely about Fall outerwear (yippee!) As seen in my recent blog posts, I have been cozying up to ponchos, faux fur and trench coats but today I’m finally rocking the oh so cool moto jacket. This one in particular from the LC LaurenConrad Runway collection (which I was so impressed by) is a “dusty rose” color which gives that girly meets edgy vibe. 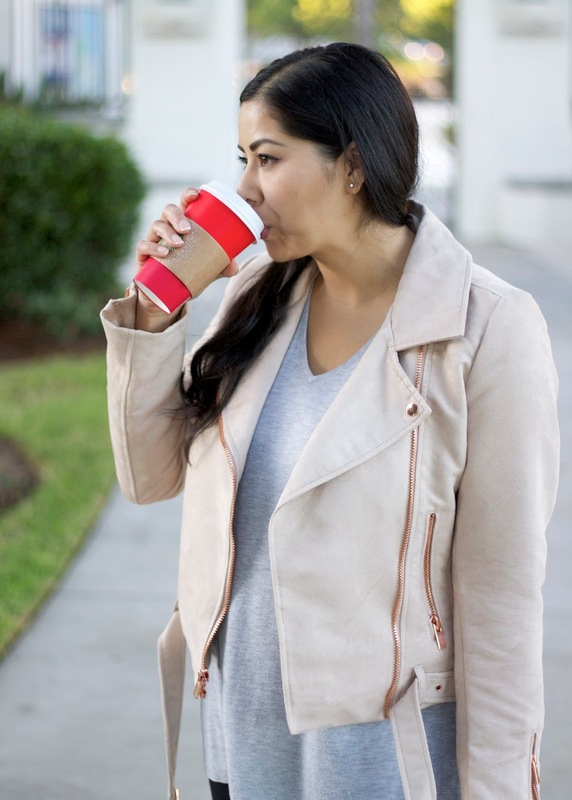 Today I’m more on the casual side (with the mandatory red cup), but I can see this jacket bringing a dash of edge to some of the more feminine dresses in my closet. This light rose color is growing on me....love the jacket on you! So in love with your jacket!!! So lovely! I picked up this jacket too when I saw that it finally restocked!